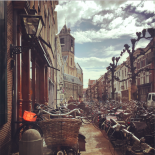 An important facet of life in the Netherlands, to which you will gradually become accustomed, is expecting the unexpected and embracing all that is weird and wonderful. Trust me, you will encounter plenty of it. Whether it’s chocolate sprinkles on toast for breakfast, Sinterklaas’ annual arrival on a boat from Spain or museums such as Kattenkabinet devoted solely to the artistic preservation of our feline friends – Dutch oddities abound. 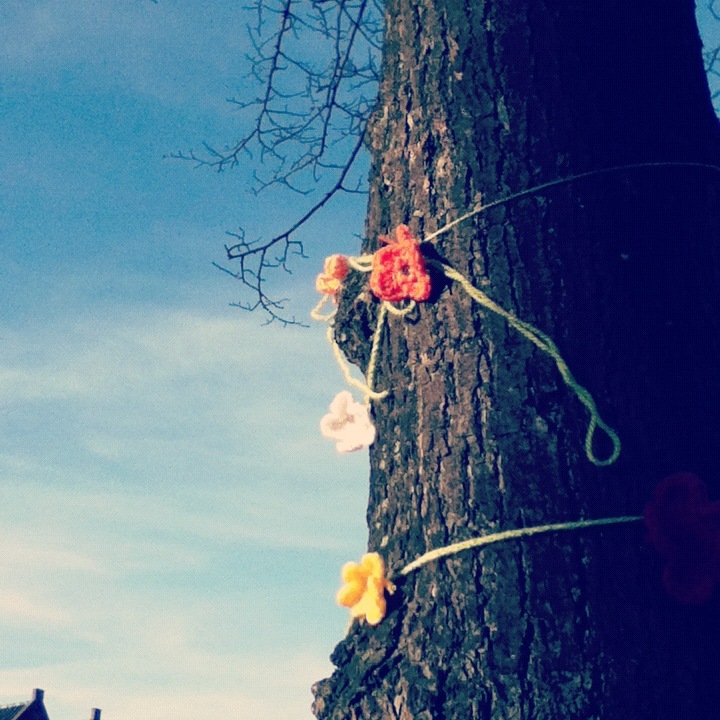 One such oddity to have woven its way into the hearts of habitants here is urban knitting. 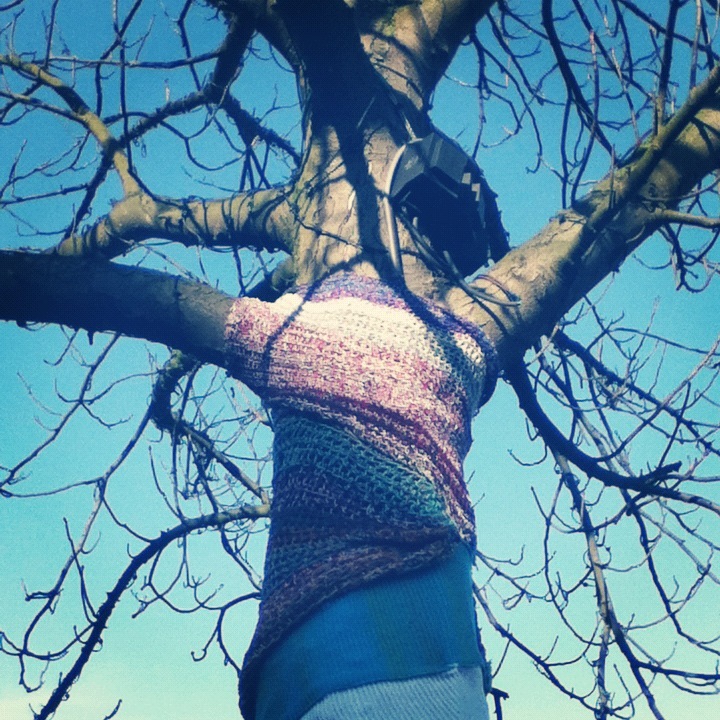 Urban knitting – a.k.a. yarn bombing, yarn storming, guerilla knitting or graffiti knitting – is the latest phenomenon to have swept the streets of the US, the UK, Australia, Italy, Sweden, Finland and now last, but by no means least, Leiden. This global sensation involves the knitting of vibrant pieces to be wrapped around lampposts, trees, railings, bridges, bicycles – anything within the urban landscape that demands a touch of titivation. To deem this eco-friendly art form ‘a heinous and disrespectful act of vandalism’ however, would be rather unjust, especially given that it’s something your Grandmother would approve of. Urban knitting is undeniably creative, kitsch and a little bit kooky yet somehow it seems perfectly fitting within our traditional Leiden landscape. It makes Leiden that little bit more ‘gezellig’. ‘Gezellig’, if you’ve yet to encounter this divine term, connotes something similar to coziness or quaintness (though there is no synonymous translation in English), it is a term upon which you will repeatedly stumble and a term often considered to be at the heart of Dutch culture. So, should you wish to jump on the urban knitting band wagon and get a little bit crafty, a little bit creative or even a little bit controversial then Leiden provides the perfect playground for international trends, such as this, to flourish. 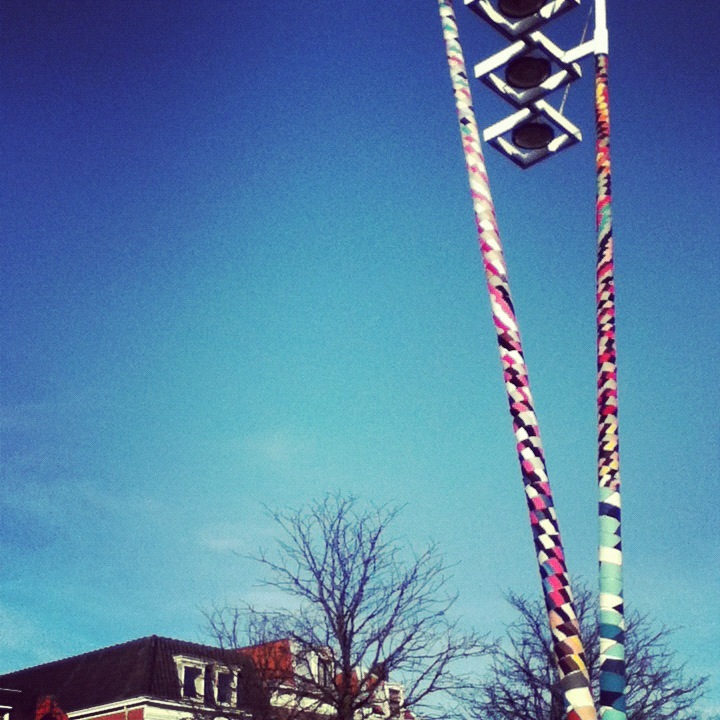 For further details, click here for the website of local artist, and urban knitting extraordinaire, Simone van Olst or click here for a touch of international inspiration and to check out what may well be next to wind its way through the streets of Leiden. This entry was posted on March 11, 2012 by admin@theleidener in Culture, Emma.